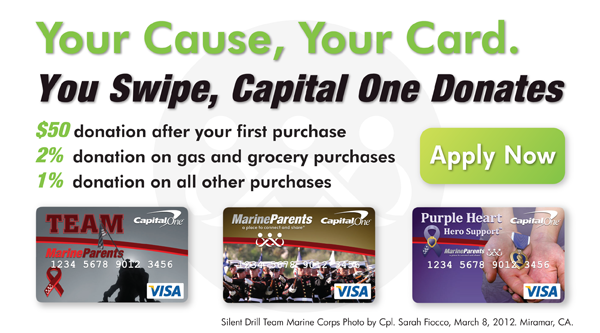 Want to learn how you can help support Marines? Read our first article to find out how! Please remember our warriors, they are the ones that fought for our Independence Day, giving us something to celebrate. Please be courteous with fireworks. our second article to learn how you can become involved. Marine Parents is launching a new outreach program in just a few weeks. Learn more in our third article. Finally, we take a look at this week's Team Marine Parents™ featured participant--Craig VanMetre. We'd like to take this opportunity to highlight some upcoming events that you can get involved in today! 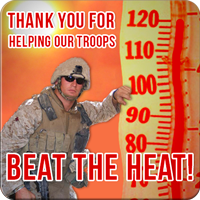 Over the last month we've been attempting to raise $10,000 to send cooling towels and high-electrolyte drink tablets to Marines deployed to Afghanistan. 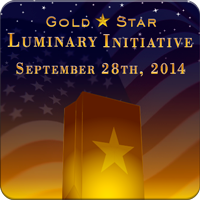 We're happy to announce that as of July 1, we've met our goal! At this time, Team Marine Parents still has 23 bibs available for the 2014 Marine Corps Marathon. Each bib costs $110 and requires you to join Team Marine Parents and pledge to raise $500 for the Marine Parents outreach program of your choice (one of the smallest minimum fundraising requirements among all Marine Corps Marathon charity partners). In addition to the events mentioned above, there are numerous ways to become involved in supporting the Marine Parents mission. 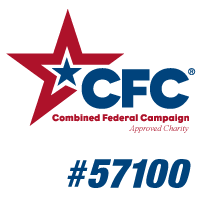 Whether it's donating to a campaign, sending prayers and letters to wounded, ill, and injured troops, or volunteering in person, visit our website to learn how YOU can help today! NWS (Naval Weapons Station) Yorktown, near Hampton Roads Virginia, recently contacted us to see if we could help make this reunion a success and of course we said yes! Those of you who are regular readers may remember being introduced to the "Piece Maker" women of the Spice of Life sewing program last spring. On June 12, Marine Parents Founder Tracy Della Vecchia, Outreach Programs Coordinator Candice Fields, and Marine Nate Hendren went to meet with the Spice of Life ladies to thank them for their unwavering dedication to supporting our Marines. MarineParents.com, Inc.™ believes that the highest obligation and privilege of citizenship is that of ensuring that the brave men and women who have borne arms for our country are cared for and supported in an adequate manner upon their return to America and reintegration into civilian society. With that in mind, Marine Parents is excited to announce the launch of our Wounded, Ill, and Injured Warrior Support Team. The Wounded, Ill, and Injured Warrior Support Team strives to provide resources, support, fellowship, and social events to wounded, ill, and injured troops and veterans, including those living with combat operational stress and/or post-traumatic stress, as well as to provide resources and support to caregivers and family members. We will officially be launching the Wounded, Ill, and Injured Warrior Support Team on July 19 at our Care Package Project pack day and in future issues of this newsletter we will be using this space to keep you up to date on the latest news with the Warrior Support Team. We look forward to beginning this new journey together! Craig's father (left) fought in Korea and retired as a Captain while his son (right) completed recruit training earlier this year. 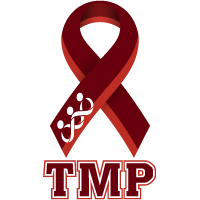 This month's TMP featured participant is both a Marine father and Marine son from Illinois--Craig VanMetre. Craig is running in the 39th annual Marine Corps Marathon this October in what will be his first marathon in support of the outreach programs of MarineParents.com and is finishing for "Moose" and Nate. He is very excited says that, "no doubt my pride has outstripped my stamina but it's that pride that will have me out running on the Illinois trails this summer. Being a marathon-newbie, just finishing makes it a personal best." To read more about Craig VanMetre, or to contribute to his campaign, please click here..